The Chartroom Restaurant is open to all ABYC members, the general public and also for corporate bookings and evening functions. Open for lunch and dinner from Tuesdays to Sundays. You can also phone Phone 041 585 2893 and book your table well in advance. Large groups, small conferences and all other celebrations are also catered for. The setting cannot be beaten – eat your meal overlooking the yachts in the marina. The Chartroom has an interesting and varied menu for you to choose from, ranging from kiddies meals, to pub lunches, to steaks and seafood fresh from the ocean. The Chartroom also caters to a host of birthday parties and weddings. Members get to use the facility at no charge. Non Members are encouraged to support the ABYC Community Sailing Program. Sophisticated seafood, tempting grills, delicious Italian and seductive sushi all under one roof. 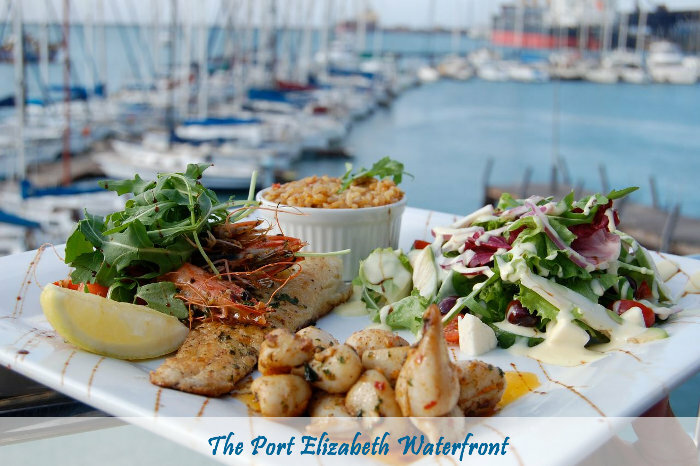 The Chartroom Restaurant is right on the water’s edge and features sushi, Italian pizza and pasta and a grill house specialising in the freshest seafood and the plumpest steaks and grills. The Chartroom Restaurant @ The Algoa Bay Yacht Club serves lunch, dinner and drinks and is good for groups, families and kids. Open Tuesday to Saturday for Lunch and Dinner and on Sunday for lunch only. Closed Monday’s.